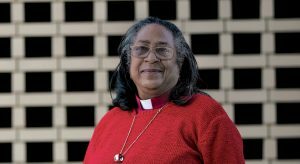 For many years, women of color in the ELCA felt silenced and searched for opportunities to speak for themselves. We initiated “God’s faithfulness on the journey,” the ELCA rostered women of color project, to change this. God has called and continues to call women of color as leaders in this church, yet their ministry experiences are often characterized by discouragement and lack of support. 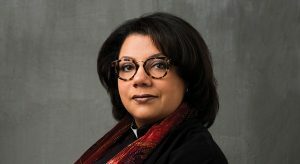 On average, women of color in the ELCA wait three to five years to enter their first (and sometimes subsequent) pastoral calls, according to ELCA Research and Evaluation. Forty-five percent report receiving compensation below synod guidelines. Although ELCA founders set an initial goal of achieving 10 percent people of color and or language other than English by 1998, the church and its leadership remain primarily white. There have been minor increases in diversity, but the results are dismal after 30-plus years (2.2 percent in 1998; 2.7 in 2008; 3.6 in 2009; 4.8 in 2014, according to Research and Evaluation). A Pew Research Center poll of 30 groups revealed in July 2015 that the ELCA is the second least diverse denomination in the United States with 96 percent white members. rostered ministers of color are treated. Still, there is good news: the ELCA now has more than 240 rostered women of color who serve in a variety of capacities. “God’s faithfulness on the journey” captured reflections from 42 women leaders of color in this church. By presenting the contributors’ stories in their voices, this resource joins the church in its work of breaking the silence and celebrating women of color. In honor of Women’s History month, we’re sharing eight excerpts here. The full collection is available at elca.org/rwoc. Bullock is executive for administration in the ELCA churchwide organization and a pastoral associate at Bethel Lutheran Church, Chicago. 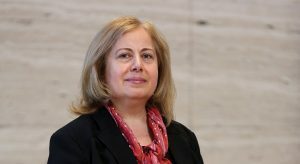 Pero retired in June 2017 as director of The Rev. Dr. Albert “Pete” Pero, Jr., Multicultural Center at the Lutheran School of Theology at Chicago. My journey to ministry started at age 12 as the teacher for the youngest children in Sunday school at my Lutheran church. Every Sunday during the doxology, I walked the neighborhood collecting children for class. I later realized I could never become a Lutheran nun or deaconess, nor teach in a Lutheran parochial school, because of my ethnicity. Once I had children, I changed churches, eventually transferring to St. Luke Lutheran Church, Willingboro, N.J., unaware I was forsaking my Lutheran Church–Missouri Synod roots. 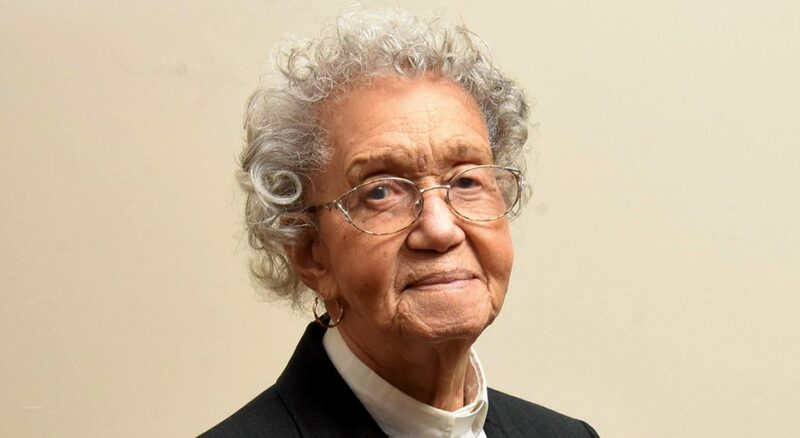 Dorothy Ricks, assigned by the Lutheran Church in America (an ELCA predecessor) to facilitate outreach at St. Luke, became a lifelong friend and mentor. When she was reassigned, I acquired a new title, associate in ministry, responsible for St. Luke’s after-school program. Years later she requested I shepherd a small congregation in south Philadelphia. My task was one of encouragement, revival, restoration and renewed hope. For six years I was “pastor” of Emmanuel Lutheran Church. One Saturday morning, I opened a letter from the New Jersey Synod. E. Roy Riley, then synod bishop, had extended an invitation to do the impossible. I called and reminded him I was in my 70s. Would anyone my age be accepted as a student, especially by the Lutheran Theological Seminary at Philadelphia? God’s answer was “yes.” I completed my studies at age 80 and accepted a call to Redeemer Lutheran Church in Jersey City, N.J. It was an unimaginable privilege to serve this community as an ordained minister for 10 years—one of God’s miracles. During my 99 years of life, I have seen God sweep aside barriers of ethnicity, gender and age to help me become a pastor of Christ’s beloved people. 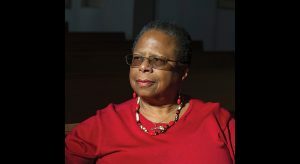 Groce is retired from Redeemer Lutheran Church in Jersey City, N.J. I was born to a white mother and black father eight years after the Supreme Court ruled laws prohibiting interracial marriage unconstitutional. If one were to add my European American and Middle Eastern heritages, my majority race is white. However, our country practices hypodescent—children of mixed unions are classified as the “subordinate” ethnic group—and according to this practice I am black. In total, I represent at least three races and eight ethnicities. I was ordained into the ELCA, one of the whitest denominations in the U.S., according to the Pew Research Center. Of the ELCA’s nonwhite minority, even fewer are rostered ministers. How did I become one? During my senior year of high school, I preached on Youth Sunday. I was stunned afterward when asked if I ever considered becoming a pastor. This question continued to echo within me the next five years. In college, I met my future husband, a Lutheran exchange student from Norway. We became involved in Lutheran Campus Ministry at the Ohio State University, Columbus. The liturgical style and both/and theology resonated with me. At 21, I joined the ELCA. As graduation loomed, it became clear to me I was experiencing a sense of call. I sought to begin the candidacy process through the Southern Ohio Synod and was granted entrance. Then came seminary. In 2009, I had the great joy to accept a call and was ordained. I chose the ELCA because I experienced our church at its best. By happenstance, my ELCA experience was diverse—I attended a campus ministry with a Native American pastor and joined a Reconciling in Christ (Lutheran communities that publicly welcome LGBT people) congregation in a synod with an African-American bishop. Later I discovered this is not the norm. But it can be. Together we can stop the ecclesiology of exclusion. Almaas serves as a priest in Trondheim, Norway. It was never on my agenda to move from Palestine to the U.S. If we had peace, I would have never left. I come from Zababdeh near Jenin, a Christian village in the West Bank, an occupied territory. Israel’s government controls our movement, electricity, water—even our ability to own a business. At any moment, the situation can change. It’s not safe. I was born to Greek Orthodox parents; my last name, Khoury, means “priest” in English. We have many priests in my family. As a child, however, I attended Arab Evangelical Episcopal School in Ramallah and the Latin Patriarchate School in Zababdeh. As an adult, I worshiped at the Evangelical Lutheran Church of Hope in Ramallah. After the second intifada (uprising) in 2002, I immigrated to Chicago. I lived with my brother, who introduced me to the ELCA. In 2004, I served as secretary of the Association of Lutherans of Arab and Middle Eastern Heritage. In 2006, I started working at the ELCA churchwide organization. I became a U.S. citizen in August 2016. I remember our elderly priest tried to keep the tradition of maintaining a priest within the Khoury family. He approached all the men to encourage them to pursue ministry. No one accepted the call. Most of my previous jobs were with religious organizations. Now I am working with new congregations in the ELCA. Through serving other denominations and the ELCA, I believe I kept the promise of our elder priest. I give thanks to God and to all who walked with me during this journey. Khoury is assistant to the director of new congregations with the ELCA. I was born in Havana, Cuba, and baptized in a Roman Catholic parish. In the U.S., I started attending a Lutheran church where my child went to school. I felt at home in the service, and slowly learned differences in polity and theology between the church I was raised in and the church that became my own. In 1988, when I heard a new church was forming (the ELCA) that wanted to become multicultural and multiracial, I quit a tenure-track job at a prestigious university and applied for seminary. I wanted to share the empowering message of God’s grace with everyone, including my Latino people. Upon graduation from Pacific Lutheran Theological Seminary, Berkeley, Calif., my heart broke as I watched my white classmates receive calls while I waited for an interview. A bishop’s assistant said they weren’t sending me to interviews because congregations weren’t open to Latina pastors. Later I took a job as a chaplain in the county jail—it wasn’t considered a call. I waited to be ordained for two years. Finally, two local congregations called me with no salary or benefits to do ministry in the jail. I was ordained at the jail, a first, which made local news. It was a good day, but one I arrived at with pain. God works in mysterious ways, and in the jail I learned more than all my degrees combined. When the seminary called me to teach from the perspective of a person of color, I could share my perspective augmented by that of those who are ignored by society. In my whole journey with its pains and hopes, I have been sustained by the theology of grace, which first brought me into the Lutheran church. 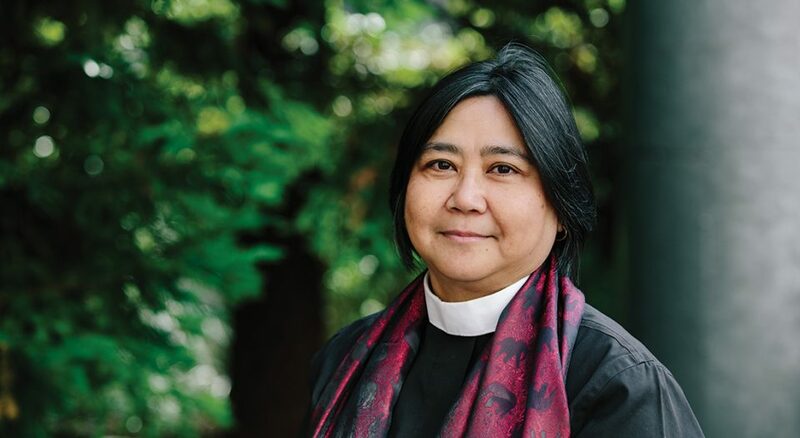 Vargas is dean of Pacific Lutheran Theological Seminary, Berkeley, Calif. There are mornings when I wake with a heavy heart. As the sun rises, I also rise. I put out water, tobacco or food for my ancestors. I offer gratitude for being alive and able to witness to that which moves all things—God, Great Mystery, Chief Who Sits Above, Mother, Creator, the blood in my veins, the hurricanes crashing to shore, earth moving—that power of which we are all a part. My people are nearly gone. I come from the Sahnish/Arikara tribe. We were once many in our great nation, spanning trade regions from the Gulf of Mexico to the Canadian border. Our creation story is different from what is in the Bible. Is it our place to say that is wrong? No. It is our place to acknowledge that our creation, our migration, our history, is different from yours. No more, no less. Different. We view the world through a perspective that is not taught in mainstream history books. My faith is influenced by millennia upon millennia of indigenous roots in this land, 2,000 years of Christianity, 500 years of the Lutheran church, and more than 500 years of genocide and policies to wipe out the first people of our country. This is our shared story. In the years to come, reflection, reconciliation, holy experiments and holy experiences will drive the transformation of our church. As a church, it is time to tell our shared story, heal from our past and give gratitude that we are here. 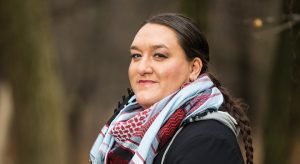 Seminole is the American Indian Alaska Native program director for the ELCA. On May 17, 2014, I was consecrated as a diaconal minister (now deacon). Becoming a rostered minister in the ELCA was not part of my plans. There was a period when the demands of my professional life and church activities were so great I did not seem to have any time for myself; I wished there was a way to merge the two. Looking back, that was probably the first inkling of the Spirit calling. After I retired and started my consulting firm, I got involved with my congregation’s community organizing efforts. I even served as administrator of its elementary school that closed three years later. This had a particularly negative impact on me emotionally, financially and spiritually. During the months that followed, I learned to trust God and find joy amid a major storm. That’s when I began to explore God’s purpose for my life. Three years later, I was studying at Pacific Lutheran Theological Seminary in the Theological Education for Emerging Ministries (TEEM) program, graduating in 2011. As the only diaconal minister candidate, I recognized it was a challenge for my professors to refine their assignments for me. The deacon roster continues to be a challenge because it is not well understood. Deacons often do not receive the same level of support in finding a call as do clergy. Many accept non-stipendiary calls, as I did, so they can answer God’s call. As the church moves forward, my prayer is that those called to word and service ministries who are primarily women will be seen as vital, valued and viable partners in the work of the church. What continues to sustain me is the knowledge that God promised to take care of my needs if I heeded his call. I did and he does! The Lord is my refuge and my strength. Beaman recently retired as executive director of My Friends House Inc. in South Los Angeles. I am a third-generation Lutheran from the Philippines. I was ordained as an ELCA pastor in 1998. Since then I have served in a variety of special ministry calls with the Lutheran World Federation (LWF), Lutheran Campus Ministry and ELCA mission development. I would love to serve a congregation, but it has been difficult to receive a call. I lament patriarchy, exclusion of women from ordination, and violence against women in church and society. I hope and pray for the ordination of women, which still isn’t permissible in my former church in the Philippines and in almost a quarter of LWF member churches. Another challenge I was introduced to in the U.S., beginning in seminary, is racial injustice inside and outside the church. I have faced many challenges as a woman of color and immigrant. I am blessed with a loving spouse, Jennifer, and Taal, our beautiful 4-year-old son. I am a proud member of Proclaim, the professional community for Lutheran rostered ministers, candidates and seminarians who publicly identify as LGBTQIA+. The intersectionality of oppressions is real in our church and society, and I will continue to challenge them alongside other women, some of whom have been my mentors. The most important among them is my mother, Remedios, who proudly put my stole on my shoulders at my ordination, an expression of her belief that women are called and chosen too. She passed away four years ago, and I miss her dearly. She gives me strength every day in life and ministry. Valeriano is a pastor and advocate for Filipino/a domestic workers and comprehensive immigration reform, living in Alameda, Calif. I was born and raised in South Africa. My ancestors were among the first converts of the German Lutheran missionaries, so I have always been Lutheran. At age 18, while a sophomore in college, I was stabbed—almost to death—in my hometown and permanently lost sight in one eye. I struggled with a God who would allow such harm to happen to me, and I stayed away from church for a while. Having known the comfort of Jesus who always walked with me, I realized I needed God more than ever. I prayed and asked God to use me as an instrument of healing in the world. I wanted to be a pastor, but the Lutheran church in South Africa was not yet ordaining women. Two years after graduating from college, I received a scholarship to do my master’s at Ohio University in Athens, where I attended Christ Lutheran Church. There I met for the first time a female Lutheran pastor, Patricia Lull, and my heart began to burn within me knowing I could be a pastor. I shared my story with her and she encouraged me to finish my studies, promising that the congregation would sponsor me at seminary if I still felt called. Two years later, I reconnected with her and enrolled at Trinity Lutheran Seminary, Columbus, Ohio. As an ELCA pastor, I’ve had a diverse ministry experience ranging from pastoring inner-city congregations to serving as a chaplain in hospital and retirement community settings. 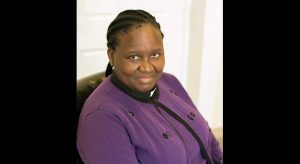 Thulie N. Beresford is a chaplain at Franke at Seaside, a continuing care retirement community in Mount Pleasant, S.C., a ministry of the South Carolina Synod. 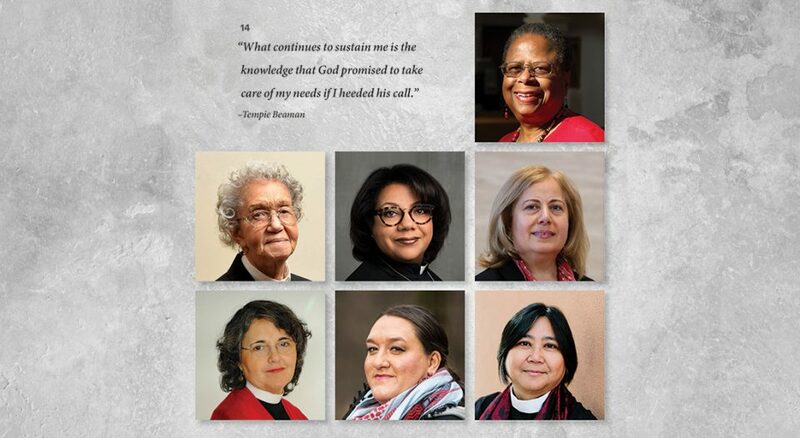 To read more of the Rostered Women of Color Project, visit elca.org/rwoc. 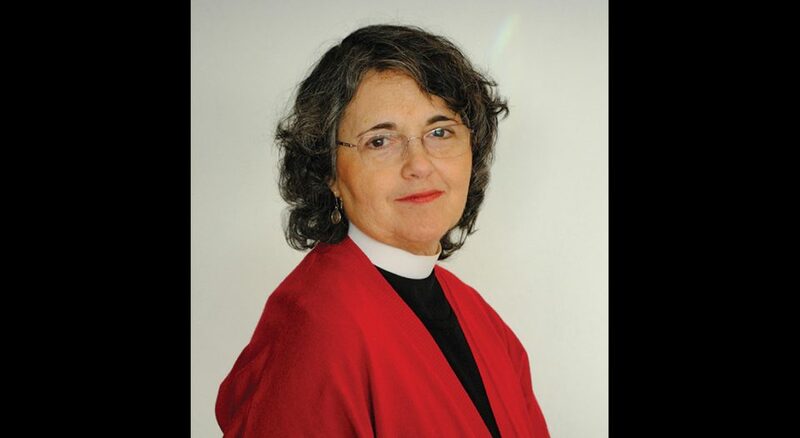 The ELCA has 17,460 rostered ministers (deacons and pastors). 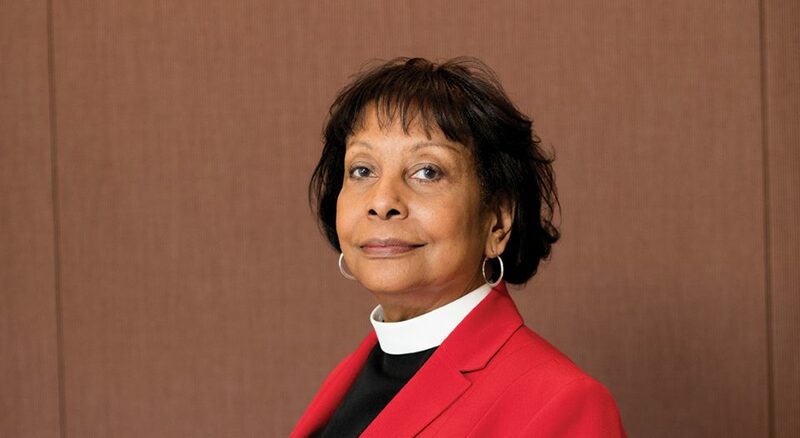 The 250 women of color serving as rostered ministers comprise only a tiny fraction of that number—1.4 percent, or 1 out of every 70 leaders. That makes their stories and experiences worth listening to as our denomination strives to become more diverse. What can we learn from them? How can we work to become more diverse?